((subversion)) Propaganda War is a turn-based strategy slash puzzle game with a Soviet-esque aesthetic created for Global Game Jam 2018. 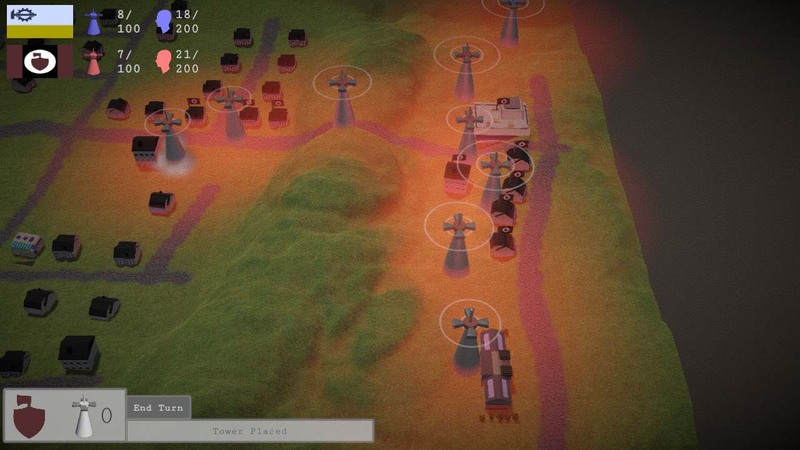 Players take turns placing propaganda towers, which influence an area. Propaganda towers can only be placed where a player has influence. 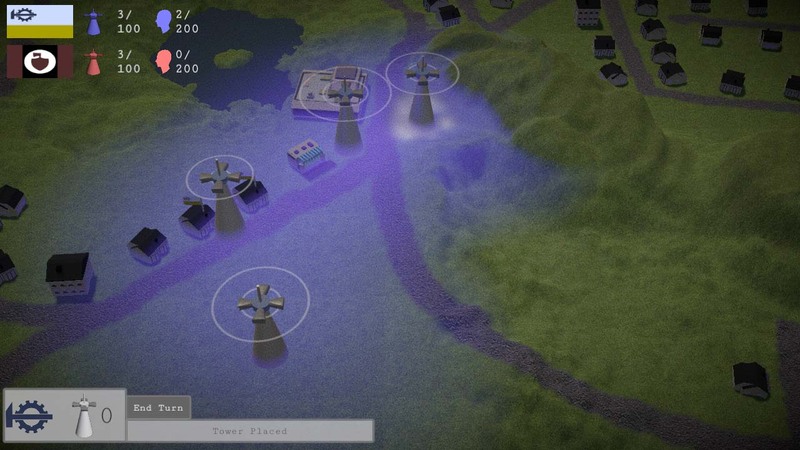 Subverted buildings provide a small boost to influence and provide score needed to win the game. Some buildings are worth more than others, and some provide more influence than others.